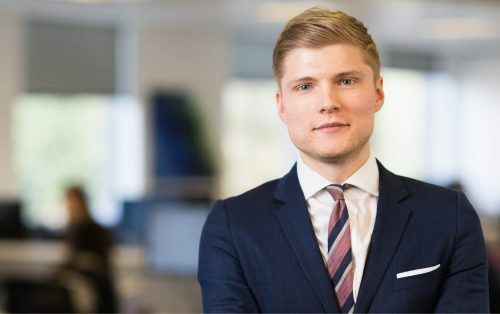 George is a Debt Recovery Executive within the Dispute Resolution team, having joined Morrisons Solicitors in early 2016 he deals primarily with money claims and the enforcement of Judgment Debts. He has specialised in Debt Recovery for four years, joining Morrisons from a boutique Financial Services and Litigation Support company, where he had been managing the Debt Recovery Department. George is particularly involved in the obtaining of Charging Orders as a method of enforcing money Judgments, and dealt with numerous applications during the transition of the application process from local Courts to the County Court Money Claims Centre in April 2016. During this period he liaised frequently with the Court to provide feedback on this process. His other primary focus is providing assistance to solicitors in the Dispute Resolution team in the obtaining of money Judgments, in matters involving both commercial and private debtors. In another life George was the singer and guitarist in a relatively successful band who achieved minor acclaim, and one day intend to obtain an injunction to prevent the publication of any photographs or recordings from this period of time. He also has a profound dislike of moths.